We’re a little owl-obsessed around our house. So when I saw toilet paper tube owls on Pinterest, I knew we had to try it. The ones I saw were beautiful with intricate designs drawn with black sharpies. Not exactly a project for a three-year-old and a five-year-old. So we improvised. Bring on the googly eyes and foam shapes! 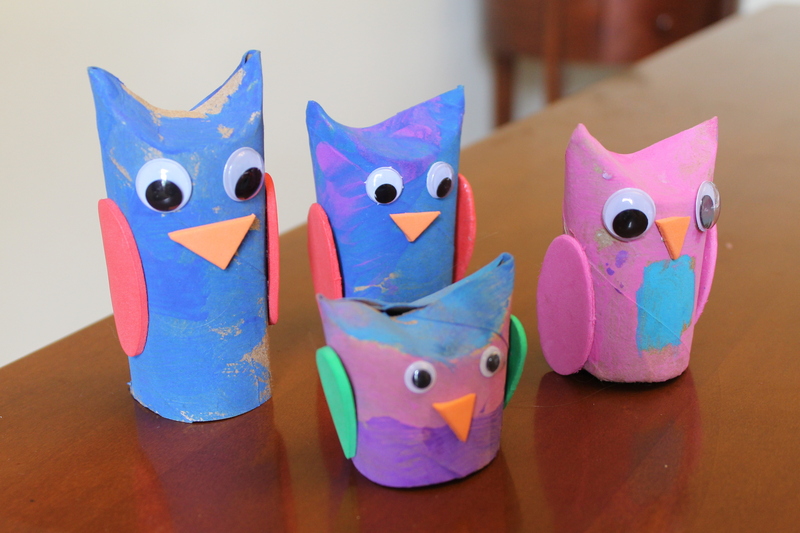 These owls are so simple that my daughters made them completely on their own. And isn’t that the best kind of project? They get to learn by creating, then play with their creation. It’s a win-win! Glue on eyes and foam (or construction paper) shapes for beak and wings. 1. 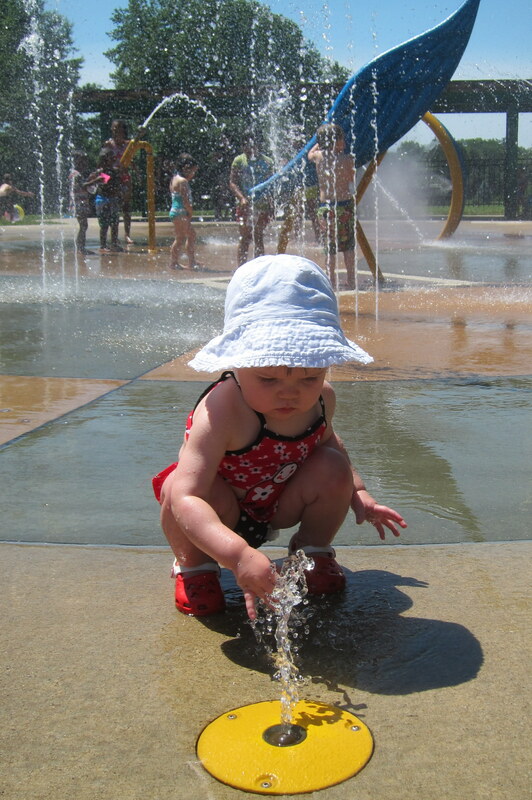 Spraygrounds- Called spraygrounds or splash parks, these free fountains are always a kid favorite. Who doesn’t want to play in the water on a hot day? I was especially grateful for spraygrounds when I had a baby and a toddler. Take them both to the swimming pool by myself? A nightmare. But watch my oldest run through the fountains while my baby sits and splashes? Very doable. 2. Bowling Alley– Kids can get two free games of bowling every day, all summer long! Check out kidsbowlfree.com to see if a bowling alley in your area participates. 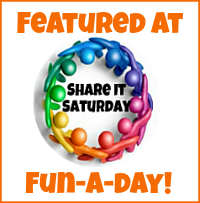 We did this last year and loved it! 3. Concerts– Lots of shopping centers, communities, parks, and churches do free summer concerts in the evenings. What better way to spend a summer night? Just do a search for “free summer concert (your city name here)” and see what you can find. 4. Art Fairs- Hands down my favorite activity. We have already been to two this summer! Although taking toddlers to a place with large groups of people and very expensive objects is not for a the faint of heart. Wearable babies or older kids make the best art viewers (in my experience). 5. 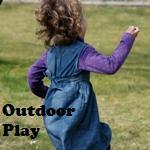 Public School Playgrounds- The schools are out and the playgrounds are open! Pack a picnic and spend the afternoon “at recess.” Just make sure to check the signage to make sure it is open to the public. Tired of playing “I Spy?” Try “What Letter Makes This Sound?” It is an easy while-you-wait game that you can play in the doctor’s office or restaurant. One person makes a letter sound and the other person guesses the letter. Easy. This game should really be called the Phoneme Game. (That’s a fancy way to say the individual speech sounds that make up a language. Also- I have been reading too many Fancy Nancy books.) Phonemes are the building blocks of words. Phonemic awareness will help kids “sound out” words in their reading and writing. This game will also give kids who need help with speech an opportunity practice saying phonemes. A warning from my college reading professor: Be careful to only say one phoneme at a time. It’s more difficult than you think. For example, people have a tendency to say “wa” (making a /w/ and /a/ sounds) instead of the pure /w/ sound. We recently discovered water beads. 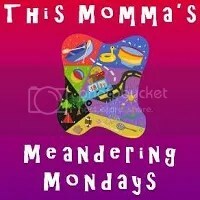 You see, there is this thing called “Pinterest” that has all sorts of ideas for kids. You should really check it out. 🙂 So I ordered some from Amazon (a 2-oz pack of Jelly Beadz), but I hear you get them even cheaper at dollar stores or floral supply stores. Water beads are awesome. They start out tiny and very hard, then you soak them in water for a few hours. They soak up the water and become large and gelatinous. That is a cool word. But not cooler than water beads. Seriously. As fun as it is to feel then between your toes (try it! ), you can also LEARN with them. I know. Mind blown. 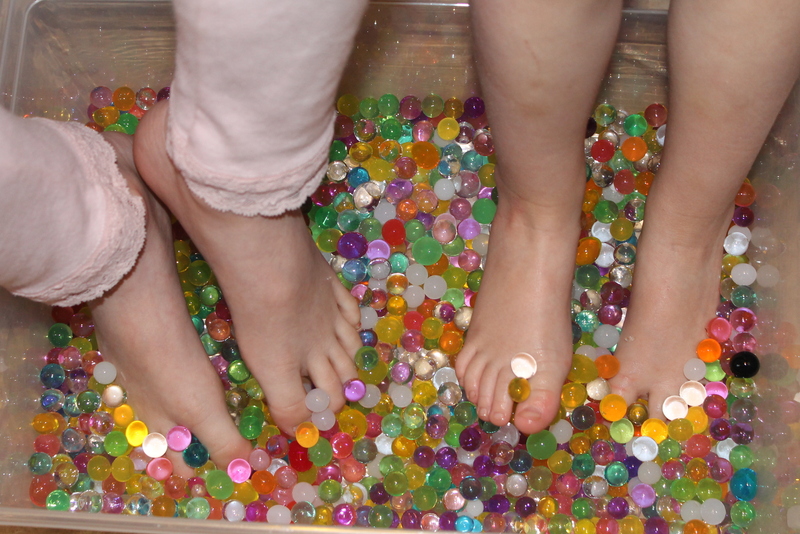 Fine Motor Skills– They are SLIPPERY! It takes a steady hand and pincer grip to pick them up. Or try scooping them up one a time with a spoon. We even tried chopsticks. I think it is impossible. Colors– Sort by color into smaller containers. 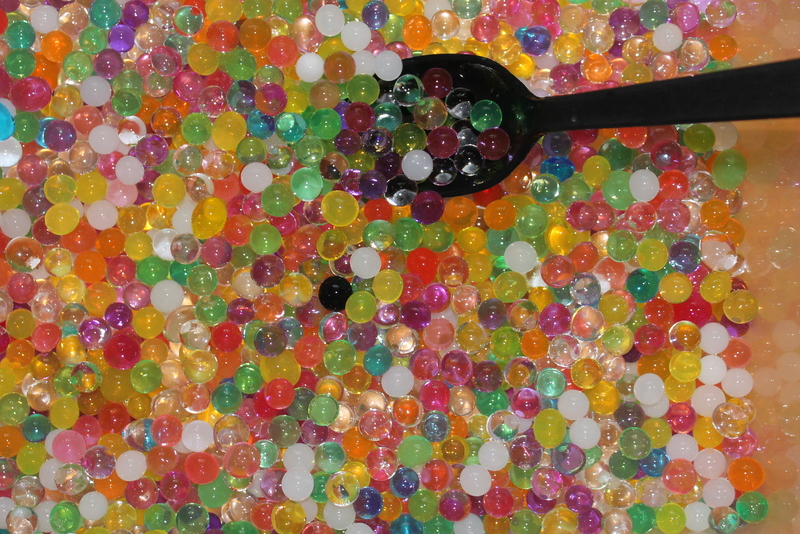 Language– Use adjectives to describe how water beads look, feel, etc. 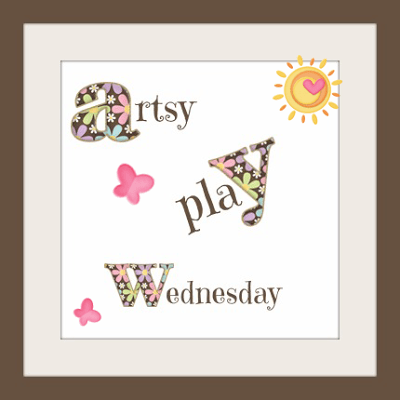 Letters- Use the water beads to “hide” plastic letters, then go on a letter hunt. 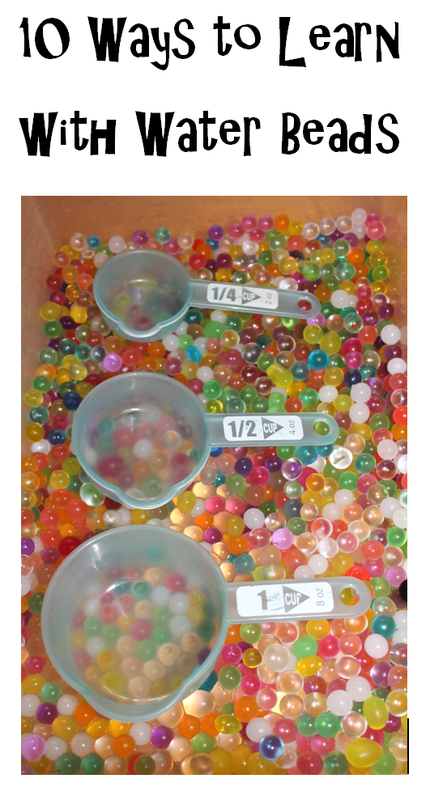 Estimation– Choose a small container and estimate how many water beads will fill it up. Then find out! Counting- Take turns grabbing handfuls and counting how many you can hold. Addition and Subtraction- Math is more fun when you have wiggly water beads to add together or take away. Patterns- Make a pattern with the colors. It is difficult to make the beads line up, but that is part of the fun! 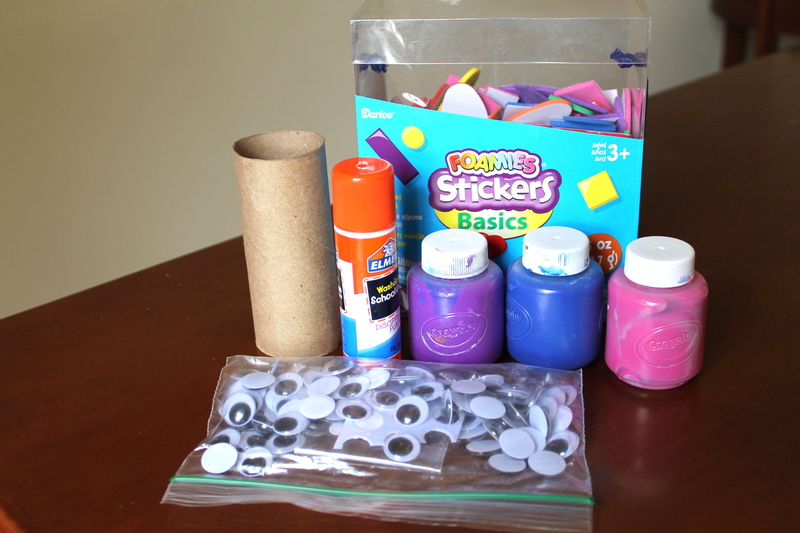 Capacity– Kids will naturally want to fill up containers, so throw some measuring cups and let the kids explore. They can see firsthand how many 1/4 cups it takes to fill up a cup. Hypothesize and Experiment- Do water beads bounce? Can you squish them? What happens when you put them in salt? And speaking of experiments, Creekside Learning offers a free printable science observation worksheet that is perfect for older kids. *Disclaimer- Water beads look a lot like candy. I wouldn’t use them with babies or toddlers who like to put things in their mouths. Okay, so spring is almost over. Don’t worry. You can do this activity any time. 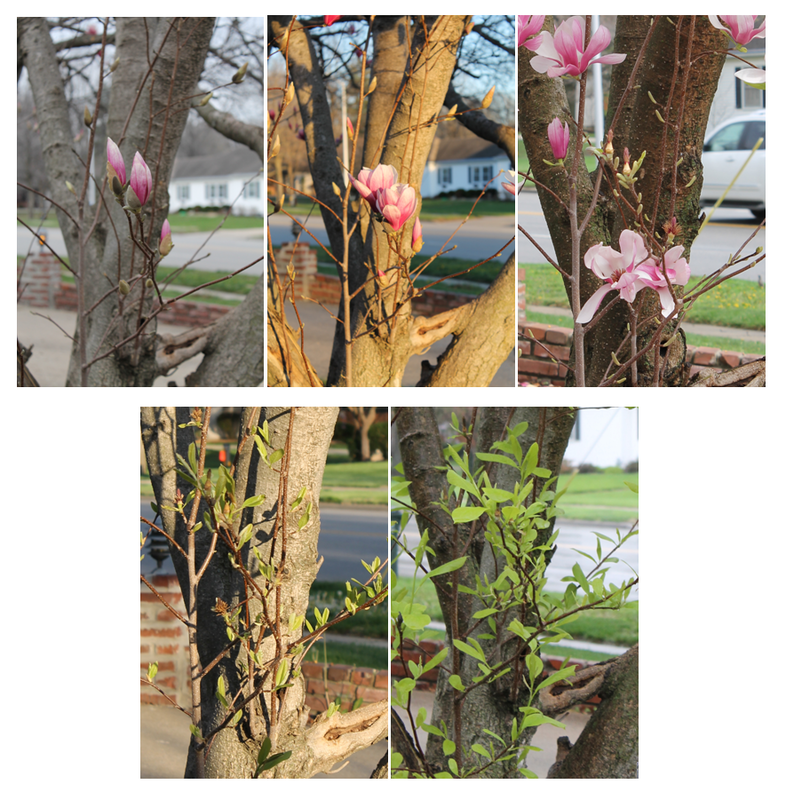 Just take pictures of something growing and changing, then have your kids put the pictures in order. They get to witness the changes in person, then review it with the pictures. Try taking pictures of flowers, trees, bushes, plants, or grass in your yard. Or take it inside and plant a seed in a flower pot. If you want to get all science-y (I’m sure that is a word), take the pictures at the same time each day. Obviously, I am not a scientist. I saw this idea for making popsicle stick shapes on Pinterest from A, Bee C, Preschool. So fun and easy! She wrote the shape names on the sticks and also made paper shapes that fit inside the stick shapes. Of course I had to make it even easier. Color the sticks with markers. This was my girls’ favorite part. I gave them a certain amount of sticks and a marker and let them do the rest. Put all the sticks together. Make a shape with the sticks by connecting them end to end. Identify the shape. Count the sides and corners. I liked leaving the sticks plain so the kids could play with them in other ways. We made symmetrical designs and played “continue the color pattern” with the sticks after we made shapes. Big Sis’s bird is in front and I like it better than mine. Humph. This is why preschoolers should be doing the crafts and not me. Cut out large circle and two small triangles from blue paper. Then one more small triangle from yellow paper. 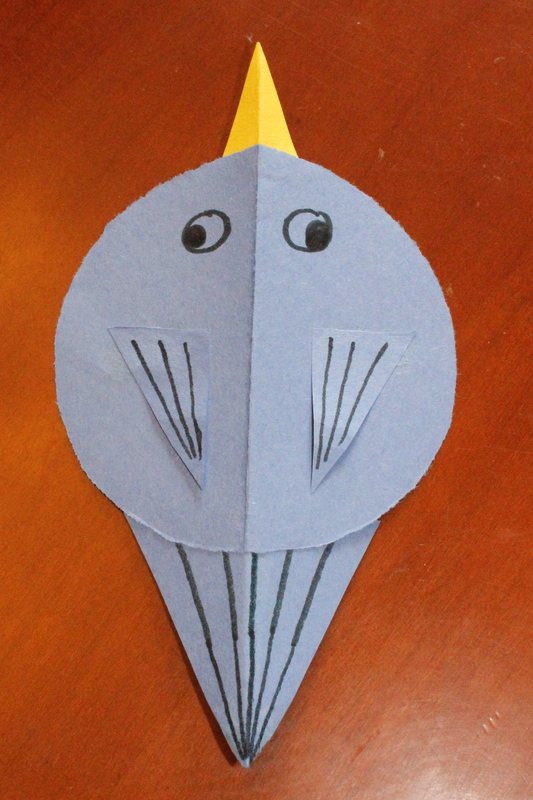 To make it easy (and teach symmetry), fold the paper and cut out half of the shape. Unfold to see that both sides are the same. Talk about the line of symmetry. 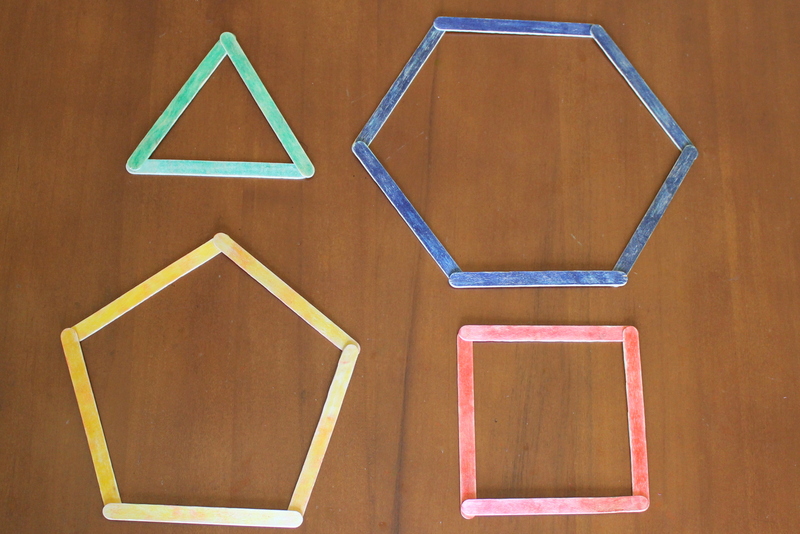 Glue the yellow triangle and one blue triangle on top of the circle by lining up the fold lines. Triangles should point opposite ways. Talk about line of symmetry again. Cut other blue triangle in half (on the fold line) to make two wings. Glue on wings (symmetrically of course). Draw eyes. Draw lines or marks on the wings and tail. Talk about symmetry and drawing the same thing on both sides. 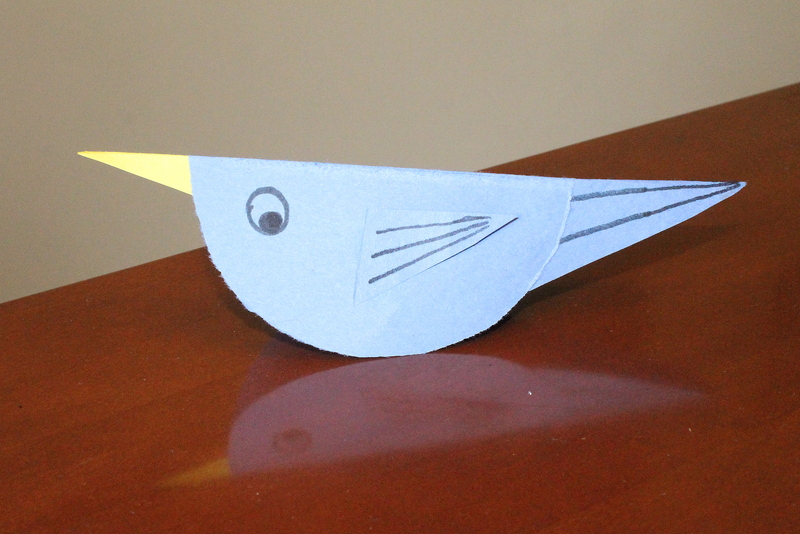 *Birds are made of paper and will not actually “fly.” But still a fun craft, right?